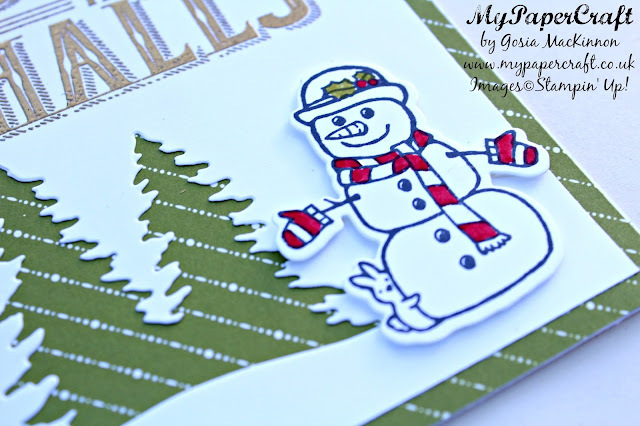 I would like to share with my my really cute Christmas Card which I made using Carol of Christmas bundle and Seasonal Chums bundle from Stampin' Up! 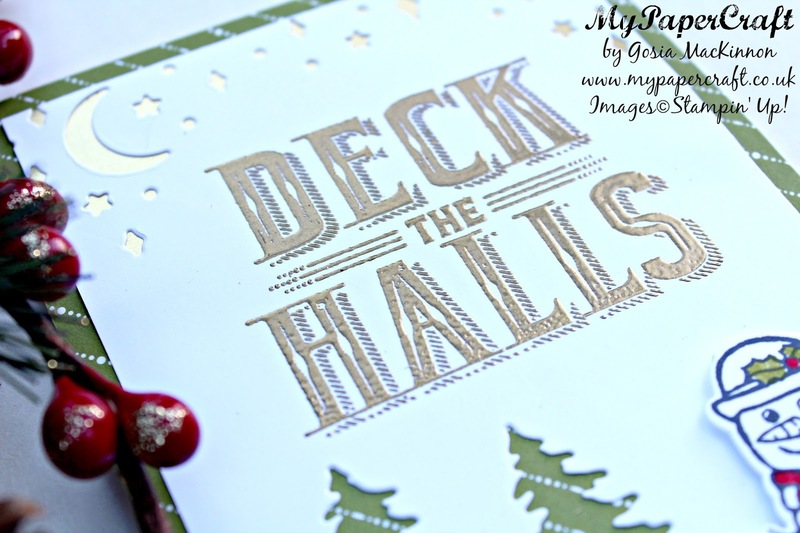 Using the Card Front Builder Thinlits I cut out the trees, Moon and Stars the I stick piece of the Gold Foil under the Moon and Stars. 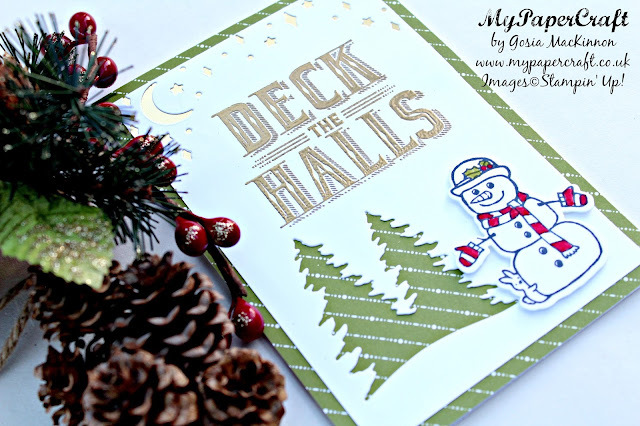 I stamped the Snowman using Black Memento Tuxedo Ink then using the Old Olive and Real Red Stampin' Write Markers I colour the creatures, die cut and stick to the card using Stampin' Dimentionals to give some dimension.